Change doesn't scare me. For over twenty years I've been a part of churches where most members screamed if you changed the brand of toilet paper in the stalls. However, I grabbed change by the horns moving forward and left the churches behind. Change keeps you alive, breaths fresh air into a stagnant routine. Change forces you to grow and stretch, which is why most probably avoid it at all costs. "We never did it like that before," rings out in every church and business around the world. "It's okay. Blue hymnals are not against the Bible." "But my great granddad always had red to represent the blood of Jesus." "Blue is a peaceful color and four bucks cheaper per book." "Well, great granddad liked the blue heavens, so it must be a sign." Change is good. It stirs you out of your complacency and, as my life has shown over the past few years, change can come from any direction and involve anything. Change excites me, allows me to attempt something new and to challenge the status quo. Now, having said that, I hate change. Rather, I hate change in certain habits of mine that to me are honest rituals. I have several small rituals like morning routines and evening habits that merely label me a creature of habit. I'm quirky that way. Then my mp3 player died and my world was turned on its head and rituals were threatened. Music calms me. I have different playlists specifically for certain writing projects and one of my evening rituals is to put on my headphones and make myself deaf. The girls say I even play the songs in the same order. This started my thumb tapping. Sarah handed me an iTouch and said, "Here, you can put tons of music on it." And I did. At last count there was over 1,200 with room to spare. My nightly routine was back and my fictional characters the Greers could now be active on the written page again. Sarah wasn't satisfied. I was. "You can search the web on it." "You can download cool apps for it." "Great. Thanks. I’m not big on cool. Just music." And then one day I started dabbling with it and used it for the Web as she suggested and new habits started sneaking in. 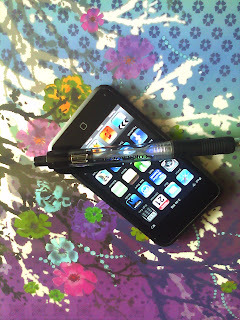 From there it was the Notepad App and I was not only making a grocery list but writing essays, blogs and my novel. 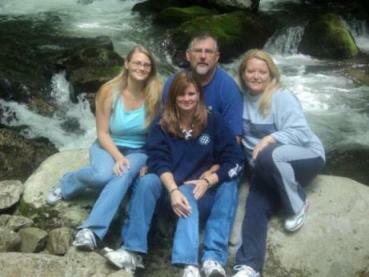 Now, Faith and Selby Greer were carrying on with their shenanigans wherever I went and my backpack was staying home. So was my back brace. I was being more productive and now the coffee stains are only on printer paper. I'm working on my writing at work, in stores, at stop lights as well as between stop lights. There is no such thing as a non-productive moment. The lady at McDonalds asks me to pull forward because my food's not ready, I say, "No problem." I'll get hot food and 500 words typed. It's great! I liked this change once I made it. I'm not sure of the other one. The wife of a friend wrote a book. They were promoting it and donating a month's profits to the survivors of domestic violence. I love supporting fellow writers and charities and I got to help a friend achieve a goal. It was going to be win-win all around. To make it even better, the book was only $3.99. What a deal! I quickly clicked the Buy Now button and just as quickly balked. It was on Kindle. It was electronic. My wall of tradition went up fast and the brakes squealed like a greasy pig at the county fair. This wasn't Star Trek. Books were not computer programs to be downloaded and stared at on a screen. Books were hard covers, thin paper, dust jackets with amazing artwork and glue. They have a scent all their own and a special feel to them. Books are heavy and offer promises of adventure in faraway places. They are not apps on my phone. You can sit on the beach with a book and look inviting and relaxed. Soak in a hot tub with bubbles and candles and a steamy romance...... Where was I? Oh, yeah, books have kept people company on long flights and road trips, boring family visits and high school plays. You look intelligent and artsy holding a book. You only look like a nerd reading a computer screen. Besides, if you drop your book in the tub or lose it at the airport you're only out a few bucks. Your Kindle, iTouch or Nook puts you out a lot more and you lose more than just a book. I'm clumsy. I've lost a bazillion phones in my coffee cup. Don't ask how; it wasn't pretty. I stepped into my study and stared at my shelves burdened and bowed with books of all shapes and sizes. 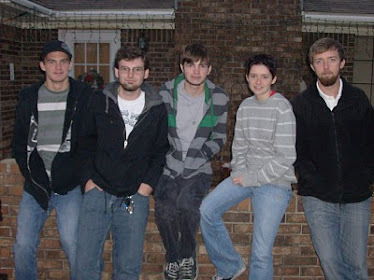 These weren't merely pages glued together; these were part of my family. How could I reduce D’Artagnan and Oliver Twist to megabytes? There isn't a room in my house without books in it. I have so many that the girls have used them in decorating with picture frames perched on top thinking I’d never get around to reading them. They haven’t noticed that I’ve switched the books, so don’t say anything. It’ll be our little secret. These books hide important notes I've already forgotten are there. I learned that trick from my mom. Of course, Mom never taught me the trick to remember which book holds what. But I was going to try it. I mean, you have to come out of your cave sometime and enter the 20th Century. It's the 21st Century? Wow, my Atari has lasted a long time. So, I bought the book. It was painless, I admit. 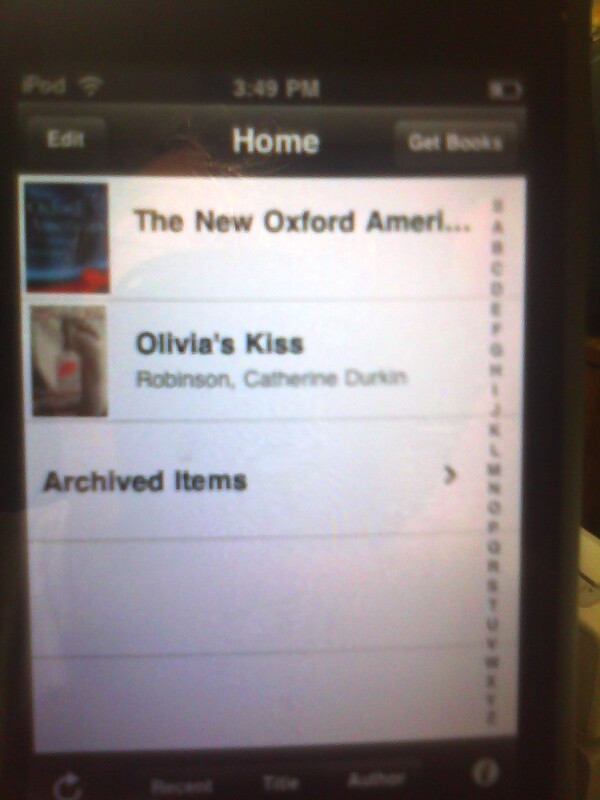 And the entire book fit on my iTouch, which is always on my hip. My music, my favorite pictures, my writing and now my library can be carried around in a small case attached to my belt. Packing is going to be so much easier when we visit the family. Furthermore, I can sneak that book into the nightclubs that the girls wouldn't let me take before. I don't even need high-lighters. My book light is obsolete as the screen lights up. I can't hide but I can read. Nighttime road trips are no longer boring as everyone else sleeps. I prop the device at the top of the steering wheel and I'm entertained all the way to the Florida State Line and beyond. Change is a good thing and, as usual, I try to embrace it. 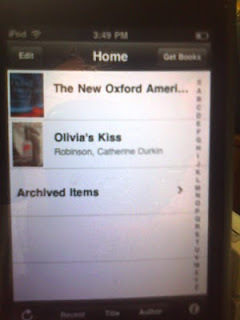 I'll read blogs, articles and Olivia's Kiss by Catherine D Robinson – which you should buy by the way. It’s an excellent read - on my hand-held miracle, and while the girls sleep, I can still be productive snuggled in my quilts with the lights out. Plus, the light glowing on my face creeps them out if they wake up. Now, that’s an added bonus. Still, there's something to be said about a real book in your hands on a stormy night with a cup of Earl Grey. Some rituals should never change. Sometimes, it's not about the convenience, but the atmosphere, that sense of coziness that something gives you. Some things just don't change, but I am willing to compromise. even though i am not thrilled of You using electronic gadget instead of paper... smiles... this is a great blog.... good job!!! Thank you! And it hasn't been fun changing.